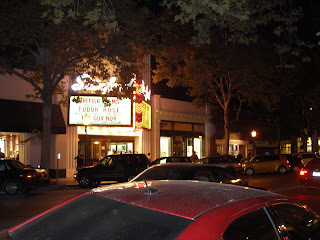 Palo Alto is an upscale college town on the Peninsula. It is home to Stanford University and a number of Silicon Valley tech companies, including Facebook. I actually didn't realize that Facebook was headquartered there until I was walking down the street and saw their offices. I, of course, behaved like a total geek and took several pictures of their front door. The only problem was that it was nighttime, so the pictures didn't turn out too well. However, that didn't stop me from posting a picture on Facebook. Like I said, a total geek. 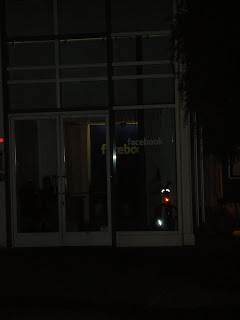 Facebook headquarters in Palo Alto. There are plenty of palaces to eat in Palo Alto, from small locals (there was a vegan restaurant that was having a grand opening) to large chains, such as The Cheesecake Factory. 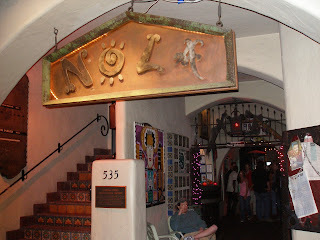 On this visit to Palo Alto my boyfriend and I (and his brother) went to a New Orleans themed restaurant, Nola's. The servers are be-decked with Mardi Gras beads and the walls are be-decked with folk art and colorful paint. The restaurant is a rambling affair that looks like a French Quarter garden or courtyard. Personally, I'm not a big fan of Cajun food or really spicy dishes, but the food was good. The bar area was especially lively. 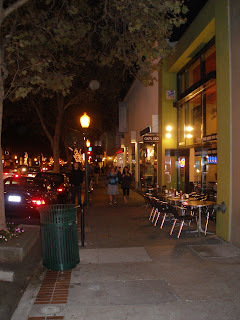 Since we didn't have anything specific to do, we walked around window-shopping as there are a variety of shops and boutiques in Palo Alto, including an Apple Store (open until 10PM on Fridays and Saturdays.) We came upon the Stanford Theatre, an old-time movie theater built in 1925, which shows classic films from the Golden Age of Hollywood. 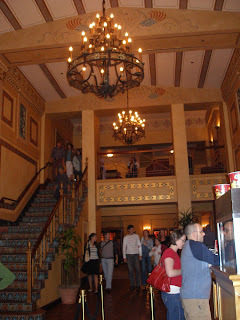 The theater was restored in the late 1980's with money from the David and Lucile Packard Foundation. The theater features a classic movie-going experience not found many places these days. I definitely recommend taking a break by watching a movie here. 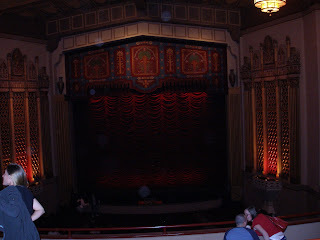 The Stanford Theatre experience includes a Mighty Wurlitzer...much better than sitting through the movie previews and commercials one is subjected to at modern day cinemas. 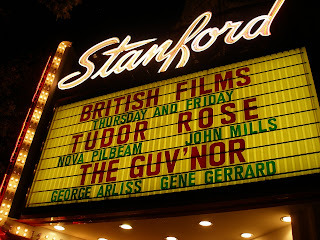 The night we visited the Standford Theatre, they were in the midst of a British Film Festival. We chose to see "The Guv'nor," a 1935 comedy starring George Arliss as a hobo who becomes president of a Parisian bank. It was quite an entertaining movie, especially considering the story took place in France and no one even made a moderate attempt at a French accent. 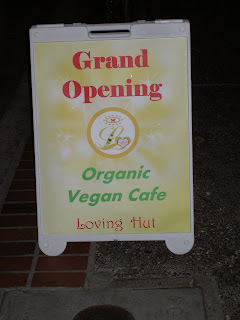 EDITOR'S NOTE: I've updated this article to provide a link to Nola in Palo Alto. You can make a reservation and order online at their website.